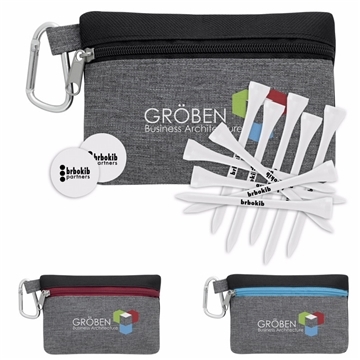 Keep all your tees in an easy-access pouch that clips to your golf bag. these are nice. They show off the logo well. The products are actually practical and cute. Excellent product, very professional looking and very well made. Individuals who received one felt special. Everybody really likes this. I love that offer prodcuts at reasonable prices with a free color print. this was very popular with our guests! the logo looks excellent. Very pleased.